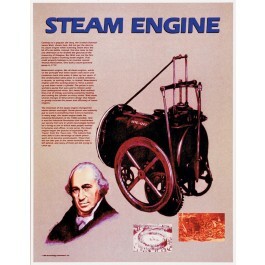 This poster features the steam engine. It is a part of a twelve-poster series that demonstrates how science has a profound impact on the world and the evolution of our society and civilization. 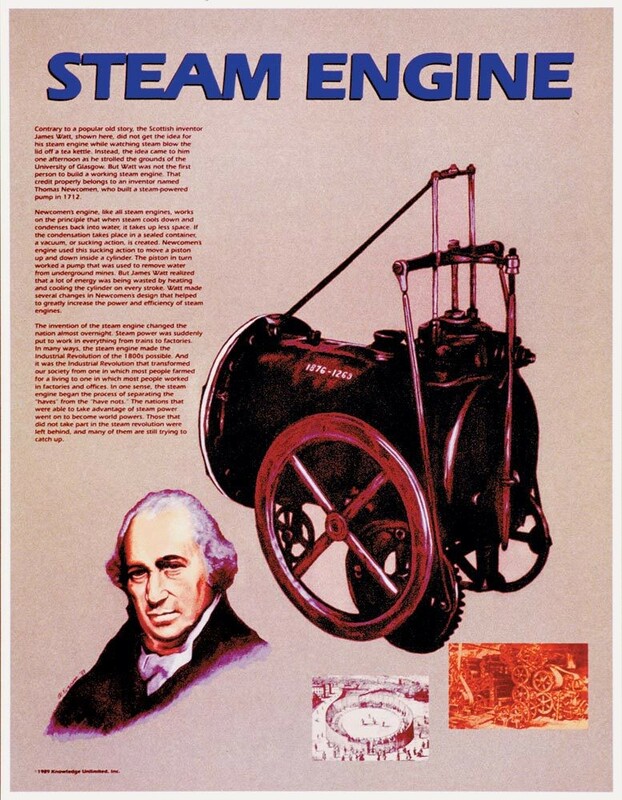 The poster features artwork that shows an old steam engine, as well as an artistic depiction of James Watt, the Scottish inventor whose improvements to the existing steam engine helped to usher in the Industrial Revolution. The poster contains text explaining the history of the development of the steam engine and its enormous impact on our world.